The Career Foundation offers employment services and HR solutions at no cost to job seekers and employers. We offer a diverse range of services to help you meet your employment goals. We offer a variety of youth programs that can help you achieve your goals. Interested in the Skilled Trades? Here’s your guide to registering and working as an apprentice. Interested in attending a workshop or job fair at no cost to you? We offer plenty! If you have a mental image when you see the word “arborist”, it’s probably not a mental image of me. For those who don’t know, an arborist is a skilled tradesperson who specializes in cultivating and managing trees and woody plants – sort of like a specialized lumberjack. I’m 5’7”, I’m smallish by most standards, and I couldn’t grow a beard to save my life, so archetypal lumberjack I am not. I have ended up with a career in the skilled trades, however, and would recommend anyone who likes working with their hands to give the skilled trades a shot. 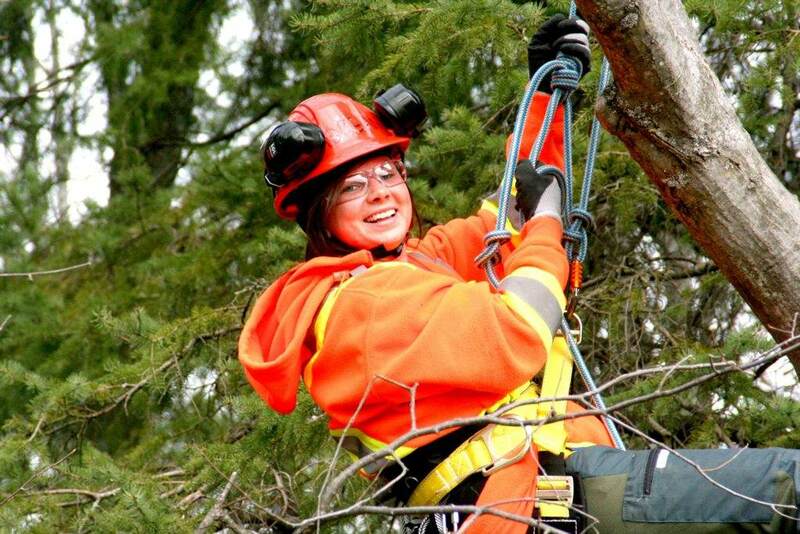 The major impetus for me happened in fall 2012, when I spotted an ad for The Career Foundation’s Arborist Pre-Apprenticeship program, to which I applied for, was accepted and successfully completed. When the General Carpenter Pre-Apprenticeship program at The Career Foundation started in early 2016, I encouraged my brother, Will, to apply, and neither of us have looked back. What has working in the trades done for me? Learning to safely use, maintain, and repair a chainsaw changed me, and not just because it’s one of the coolest power tools out there. Before I got into the trades, I’d probably held a drill once or twice, hammered a few nails, and would have looked for someone else to do anything more involved than putting together Ikea furniture. The first few dozen times I used a chainsaw, the uncertainty of whether I’d be able to get the thing to start put a knot in my stomach. Fast forward a few years, and I’ve been in more situations than I can count where I had the most training and experience with tools on a job site, and was best prepared to tackle a job safely, or troubleshoot a problem effectively. Beyond the obvious practical applications of having gained this level of skill, it also made me realize that, just because something is an enormous challenge at first, doesn’t mean I can’t overcome and eventually master it. That feeling is infinitely transferable to other tools, to sports, to hobbies, and to challenges at work and in life. With a couple major exceptions, most of the skilled trades have traditionally been male dominated. (Kudos to chefs and hairdressers!) Today, the world is changing. Every day I know that by showing up for work and being a professional in my field, I am setting an example: for my bosses and coworkers, for other women, for other skilled trades companies, for clients, for the public. I really believe that tapping a broader pool of talent is beneficial: for individuals faced with a wider range of options, for industry, and for society. Working in a male-dominated field as a woman certainly has its challenges, but I do so with the knowledge that I’m helping to pave the way for non-traditional demographics, including women, people of colour, and LGBT+ people, to take a shot at this really rewarding career. Working in the trades, there is never any question at the end of the day as to what you’ve accomplished. Your achievement is right in front of you, whether it be a tree pruned, a section framed, or a pipe laid. As a tradesperson, you have made a measurable and tangible contribution to society by the end of every day at work. In many cases, it will be a contribution that you’ll be able to physically show your children and grandchildren. Kate Raycraft currently works as Pre-Apprenticeship Project Assistant with the General Carpentry Pre-Apprenticeship program at The Career Foundation’s Hamilton office. For anyone interested in our General Carpentry Pre-Apprenticeship program, please visit our website. For some of us, walking into a room full of strangers can be intimidating, especially if you’re one of the quiet types. With every step, the lump in your throat gets more constricting and your stomach feels like it could bottom out at any moment – much like climbing Mount Everest, I assume. 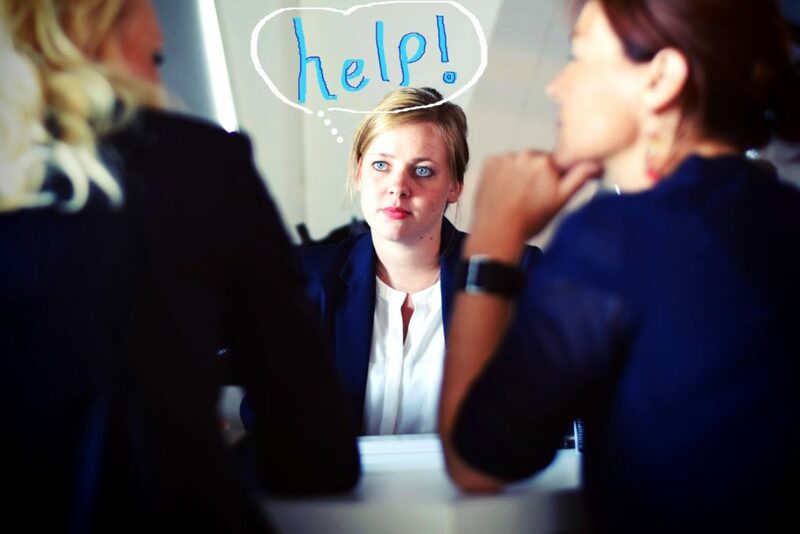 While you can live happily-ever-after never having climbed Everest, networking is something you can’t really avoid if you want to make connections with the “Who’s Who” of the business world. Being able to network effectively is a great tool to have in your arsenal for career success. If you’re attending a networking event, do a little investigating beforehand. Find out who the host is and search their name on Google or LinkedIn. They could be an old schoolmate or maybe they recently achieved a milestone. A quick search can help you find a way to break the ice with the host of the event. Ensure you are dressed professionally. Iron everything! Take a deep breath before walking into the room. Keep your head up, shoulders back and stand up straight. Stepping into a room full of strangers gets easier each time. No matter what you do or the purpose of the event, always come prepared with strong talking points. If you’re a job seeker networking with potential employers, ensure you’re able to convey how you would be an asset to the company. If you’re a business owner, who knows your business better than you? Be prepared to talk about yourself or your business if the occasion calls for it. Keep your pitch short and to the point – no more than 30 seconds. If you’re simply trying to make connections, go with casual talking points; something current or newsworthy like a new book or movie release will do. Try to steer clear from politics and religion. And don’t forget to bring your business card if you have one! Go with a colleague or friend. Having someone you know in the room can help calm your nerves. However, don’t treat your buddy like a crutch – be sure to mingle on your own as well. If you know the host of the event, ask them to introduce you to some of their guests. Don’t be afraid to ask someone you know to introduce you around. Use your colleagues as guinea pigs! Don’t shy away from work events and staff meetings. Practice your networking skills by talking to people from different departments. This will help you get comfortable speaking with people and will also help improve your conversation skills. Practice makes perfect, so implement some of the tips above to help you navigate any networking event. PS – Keep in mind that a lot of people like to talk in general, so you’ll often find that sometimes all it takes is a smile, friendly introduction, and quick icebreaker to steal someone’s attention – and ideally lead to the next stage in your career! Jodi Darby is a Business Developer with The Career Foundation’s Canada-Ontario Job Grant (COJG) Program, and has successfully navigated her way through dozens of nerve-racking networking events over the past few years. Connect with Jodi on LinkedIn.